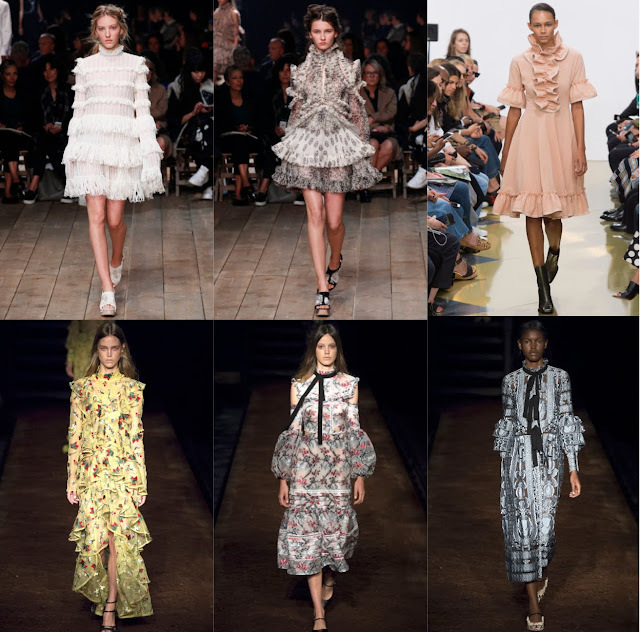 One of the biggest trend to come from the Spring/Summer 2016 shows were frills and ruffles. I'm not usually drawn to feminine styles but since Miu Miu designed the ruffled blouse from their Autumn/Winter collection I have fallen in love. I have one or two things in my wardrobe that fall into the romantic feminine trend and feel it's always nice to own a few girly pieces. The Philosophy di Lorenzo Spring/Summer collection very much displayed this trend, beautiful dresses and tops, and can only imagine how it would feel on. Below were a few of my favourite pieces from the collection. Alexander McQueen, J.W Anderson and Erdem were just a few other designers showing frills and ruffles. 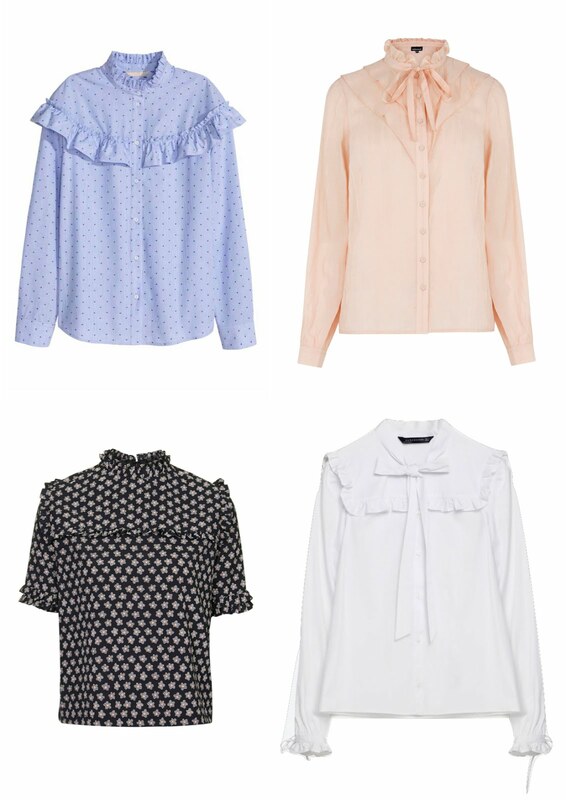 If you want something more subtle, the above shirt from Topshop is very cute with frilled details on the cuffs and collars. Now for some inspirations from Pinterest. 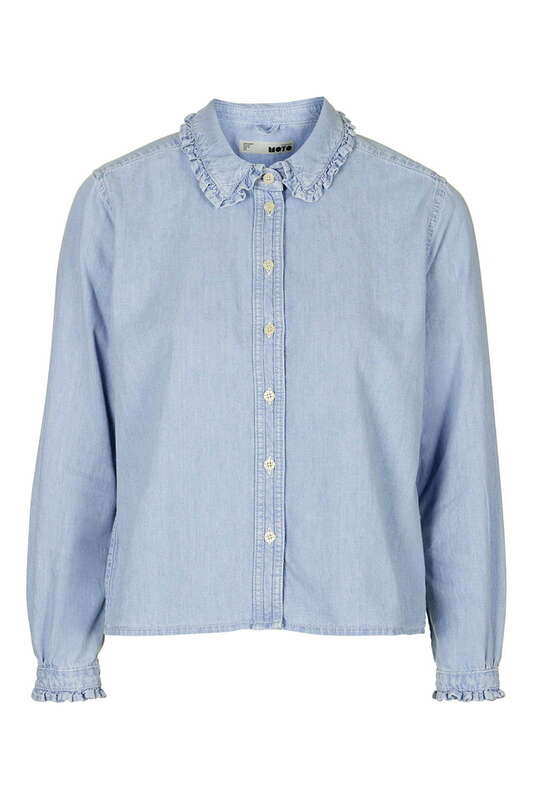 I would pair frilled/ruffled shirts with jeans or dungarees, goes nicely with a leather skirt too. Black ankle boots would be my choice for ruffle dresses, team it with a biker jacket to toughen up the feminine look. If your shirt has a high collar this looks great layered under a jumper for days like now. 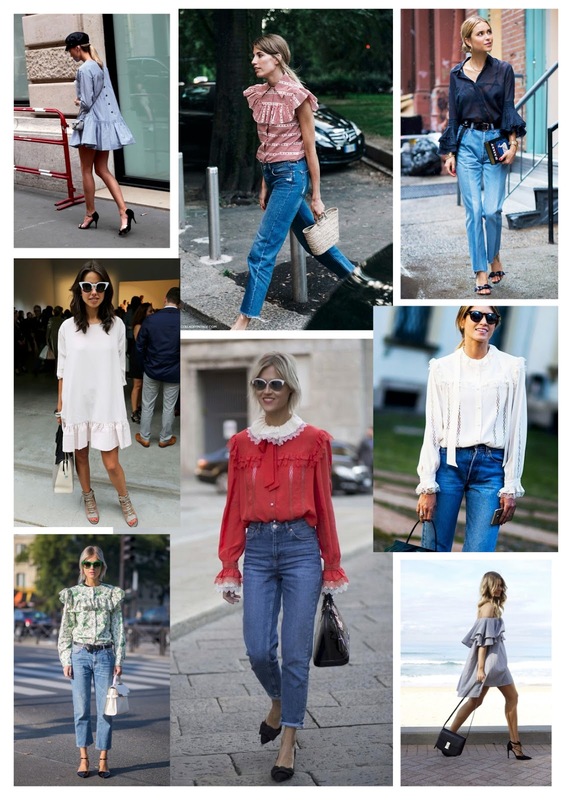 Hope you like this trend as much as I do, I'll post some of my looks from this trend soon.